How Can I Back Up My Data More or Less Continuously? - Ask Leo! How Can I Back Up My Data More or Less Continuously? With hardware failures, accidental deletions, and more, it's easy to lose files as you are working on them. What's the easiest way to back up your computer as you go? How can I backup my work on a running basis throughout the day so that I don’t lose hours of work through hardware failure or accidental deletion? A friend lost his presentation yesterday while amending it an hour before delivery because of a thumb drive failure. I sometimes accidentally delete parts of my work during the day and have to do them again. My solution is to intermittently save to a file name with “PROTECT” added as the name and on a different drive; but this is clunky, takes time, and is unreliable because it depends on me remembering to do it. Are there automatic options to achieve this purpose? I feel your friend’s pain. Anybody that has used a computer for any length of time, particularly in business or when giving presentations, has been in his shoes. Let’s talk about some ways to avoid a repeat. First, don’t save to a thumb or flash drive over and over again. They wear out the more that you write to them. I consider them too unreliable to be the only place where you keep anything even halfway important. I have had USB thumb drives die and they weren’t always inexpensive ones. I suspect that this happened to your friend. My favorite backup technique these days is to place and edit my documents directly in their Dropbox folder. That way, Dropbox is more or less constantly updating the changed document every time I click Save. In my case, the document is uploaded to the internet as I work on it, but it’s also being mirrored on any machines on which I might also have Dropbox installed. Now, some people don’t agree with this technique, but I’ve used it with success. In fact, I actually set it up so my wife does the same thing. When she’s working on a document, her default folder for Word and Excel files is a Dropbox folder. As she’s working, she can click Save and files are automatically replicated to our other machines. In other words, they’re backed up. Dropbox may even keep a certain number of history copies. That way it’s actually possible for you to go back in time on the Dropbox website. 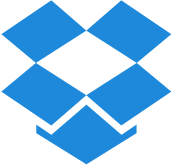 Now I’ve mentioned Dropbox because it’s what I use and feel comfortable with, but there are similar tools that offer equivalent functionality. It’s important to save on different types of media and locations than where that working copy is stored. This protects you from drive failure. Other solutions include Auto Save and backup copies. I encourage you to make sure they are turned on. They all tend to save to the same drive, but they may help you recover from accidental deletions and changes. Do I need to have a separate data backup if I backup my system regularly? - If you are doing regular image backups of your computer, and incremental backups of new data you're good. But what about the files you are working on today? « Previous post: Why are sites making it difficult for password managers? It runs in the background after setting up the path for the source and back-up destination and it works in real time. Any alteration to the source data is immediately reflected in the back-up. It seems quite light on resources and has been running on my PC for several years happily backing up “My Documents” folder on an external drive without a hitch. Can even back up over a network. Useful. Thanks for the tip on Yadis. This is the best continuous file backup program I’ve used. Leo mentioned not relying on flash drives, and also suggested making a backup of your file on different media. Those are excellent ideas, of course. However, I have a related technique that has saved me great pain many times before. When I re-save an important, big document/file that I’ve been working on for a while, I Save As to a different file name; I usually just add 01, 02, etc., to the end of the file name, and I make one of these saves every 30 to 60 minutes, each time adding the next number in the sequence. What’s the benefit? Well, has your computer ever failed or corrupted your file in the middle of a save? Yes, this happens to everyone sooner or later. By using my technique, assuming my drive is still intact/accessible, I still have the previous version of the file. Also, whenever doing repeated Undo commands isn’t sufficient/feasible, then reverting to the previous file can be considered another form of undoing. In this way, I never lose more than an hour’s worth of work. Thus, in conjunction with using Dropbox or backing up your file to other media, using my “version control” technique can save you bunches of heartache. I’ve used Carbonite which is a backup service with continuous updates running in the background. I currently use MyPC Backup with once a day scheduled backup. There is a higher fee for continuous backup, but at any time during the day you can drag and drop a file which is important enough to you to need backing up before the next scheduled run. Just a tip, make sure you know how to access the backup files in case of a crash. Also, make sure it’s not just backing up to your computer’s hard drive as that will also crash if it goes down. Always good to be prepared! Seems to be the same one I’m using. It’s an online backup and I can testify to being able to recover when I had a crash earlier this year. Reading your article I planned to write a small program that monitors the autorecouver folders of the MS-Office programs and makes a copy each time there is an autosave, with updated sequence numbers. It can copy as often as you like. yesterday, Friday, October 1st. To tell you the truth, I’m about ready to chunk it all and go back to calling and letter writing. . I’m serious. What kind of nut enjoys ruining someone’s life by doing some-thing like that to people? Then identify a system, or more likely combination of systems, which provides the desired protection. For example frequent online backup may be susceptible to item 2. A grandfather, father, child system would be less so. Thank you Eric!! I am from the future! Synctoy is exactly what I was looking for. bless your soul for typing that comment. I knew there had to be an app! I like drop box.. but hard drives are so cheap these days having a couple back up ones that are strictly for copies way less expensive than these cloud drives end up costing you. he only reason I would use cloud is for syncing to other computers so it has its purpose for me as well. I love AJC Active Backup and I have been using it for years. It protects your work files from mistakes or file corruption. It’s saved me from losing my work on several occasions. It backs up every time you save a file and lets you go back to any version of a file. You can choose what folders or file patterns on your PC to monitor for changes. The built in diff lets you see what you have changed in each file. Archives are compact too because it only stores the changes to a file each time rather than the whole thing. It now also has plug in for Visual Studio to make it even easier for developers to see what has changed and undo changes etc.